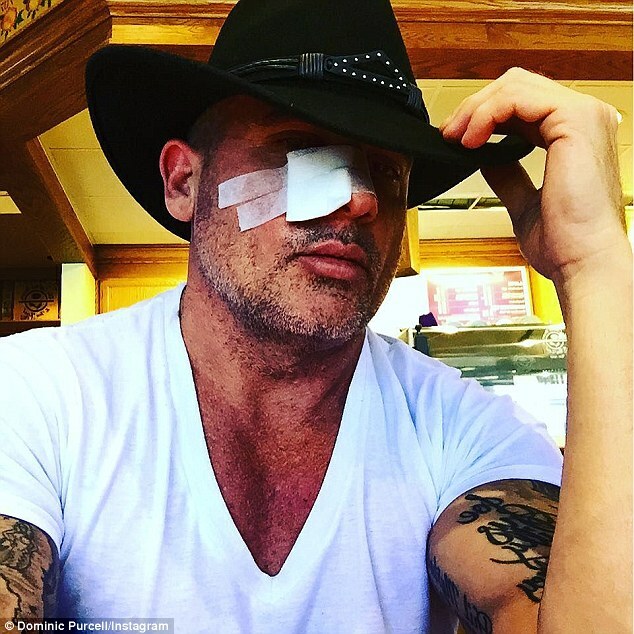 Dominic Purcell Reveals Bandaged Face Following Skin Cancer Scare | [All Things Tanning] For Tan Fans! 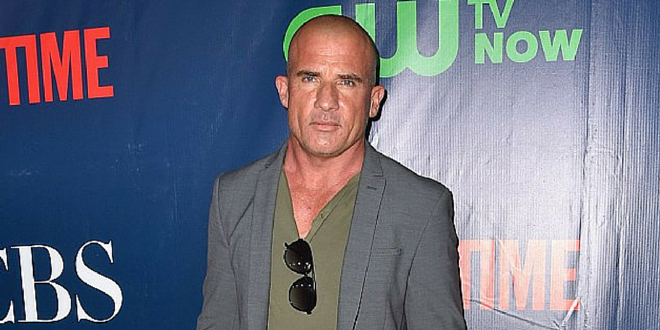 Dominic Purcell is warning his fans and followers to cover up after a skin cancer scare. The Prison Break star took to social media on Wednesday to share a rather shocking image of his bandaged face after receiving treatment. Bandaged. Dominic Purcell warned his fans and followers to cover up on Wednesday after a skin cancer scare. “The big #cowboyhat hopefully protects my ears back of neck from future potential #skincancer,” he wrote. 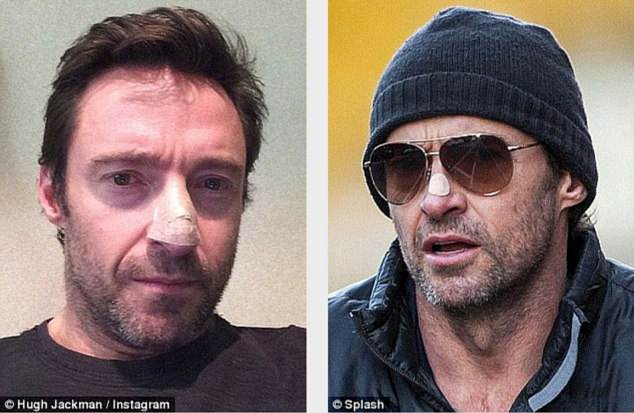 His words are reminiscent of fellow Australian actor Hugh Jackman after the Wolverine star was treated for four skin cancers in the past two years. Hugh is required to have his skin checked every three months after Basal Cell Carcinomas were first discovered on his nose in November 2013. Be sun safe. Fellow Australian actor Hugh Jackman has been treated for four skin cancers in the past two years. He was encouraged to go and have the mark on his nose checked after his makeup artist noticed a little spot of blood while he was filming X Men: Days of Future. They recommend staying largely out of the sun during the hottest parts of the day, using sunscreen, wearing clothing, headwear and UV blocking sunglasses while outdoors and having regular check-ups to help prevent skin cancer. Awareness. The Block (Australia) star Shay Paine also raised awareness about skin cancer this week after she had multiple cancers removed from her back.